“Satheesh, who was born to a middle class, conservative family, went ahead to pursue his ambitions for serving society. He was qualified to become a doctor (BAMS) in ayurvedic medicine from Coimbatore. After passing out he joined social work project in Arunachal Pradesh where he worked for 2 years serving 10 tribal villages, after which he came back to Ooty, Tamil Nadu and joined J.S.S. college of Naturopathy and Yogic Science as a lecturer and it is during this period Satheesh ji met his mentor Sri Shyamji Gupta and pursued his ambitions to educate tribal children. 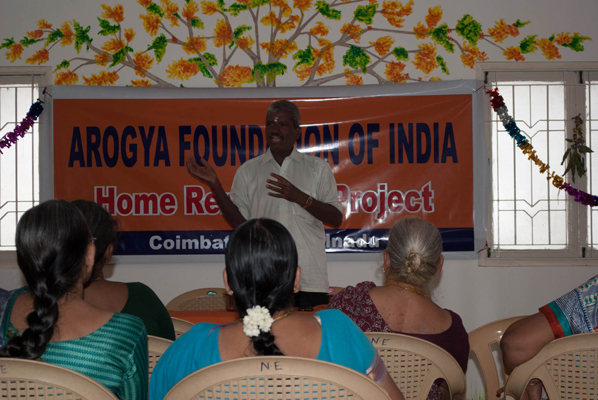 His location in the Nilgiris District helped him to go ahead with this mission. Over the years, he become a leader and mentor for many in the organization, and has been able to significantly impact tribal children’s education, bring in more volunteers and work on the large requirements of the organization”. 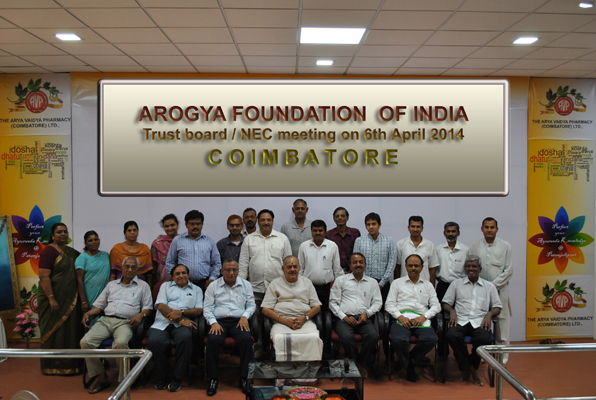 He was also involved in Arogya foundation of India, Home remedies project in Coimbatore. Grown with and nurtured by Sangh sanskaras, his dedication and commitment to serve downtrodden Tribals and rural brothers of India was unfathomable. 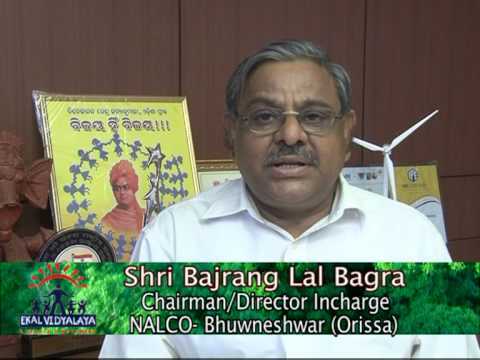 He served them through Vivekananda Kendra in beginning and settled to adopt Ekal Movement later with which he continued till he breathed last. The spectrum of his services was large in that he was able to carry out responsibility handed over to him with excellence in any field of Ekal activities. 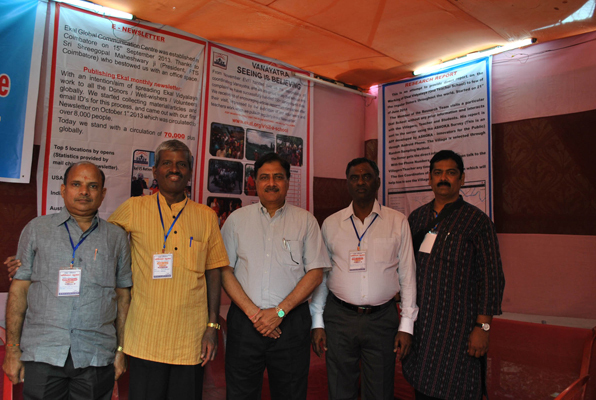 Be it field operations of running schools or supporting Nagar Sanghthans, coordination with foreign chapters, introducing innovative schemes in Arogya like Home Remedies, dissemination of Ekal activities in segments of society locally and globally, Satheesh ji was equally successful in carrying all them out with distinction. 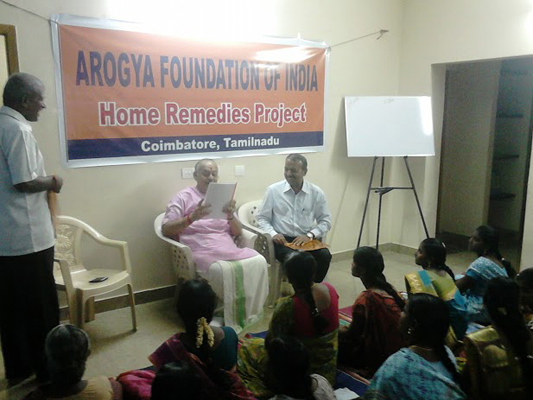 ·	Home Remedies Training Center of Arogya Foundation, Coimbatore received the Affiliation from GUJARAT AYURVEDA University, Jam Nagar. The name of the Course is: “Management of Primary & Preventive Healthcare in Rural & tribal villages through home Remadies/ Ayurveda. Hereafter the Workers undergoing training for 7 days in this center will receive the Certificate directly from the University. ·	The program on managing anemia and malnutrition wan conducted throughout government schools and people from other walks of life including the women police of the Coimbatore city. ·	Launched Anemia Intervention in 42 Ekal Villages in the Dharmapuri district - “Managing Malnutrition & Anemia through Home Remedies” in Harur Taluk of Dharmapuri district, Tamilnadu on 21st December, 2014. 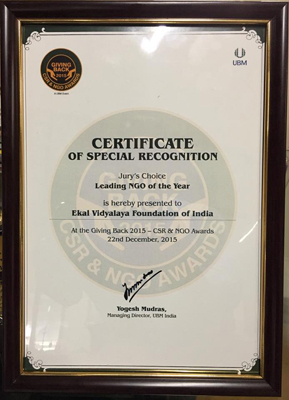 ·	Research report – Providing direct report on the Working of Ekal Vidyalaya (One Teacher School) to few of the regular Donors throughout the world. On 21st of June 2014 introduced ASHOKA survey through Android Phone. Through this Donor gets direct information like Phone numbers of the Acharyas and Geo Coordinates of the Village and helped to locate the Ekal village in Google Maps. ·	E-Newsletter – from October 2014 started Circulating monthly E-Newsletters to donors and well wishers across the world. ·	Vanyatra – from November 2014, was supervising all the overseas vanyatra requests. Dr Satheesh, a phenomenon by himself! Always unique, from childhood till his last journey. 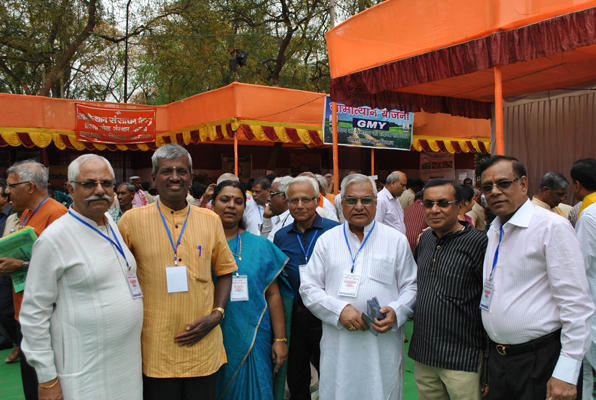 Born in very poor family, lost his mother in childhood, wanted to become Sangh Pracharak. One R.K.Mission Swami suggested him to better marry someone, who would allow him to work as Pracharak. 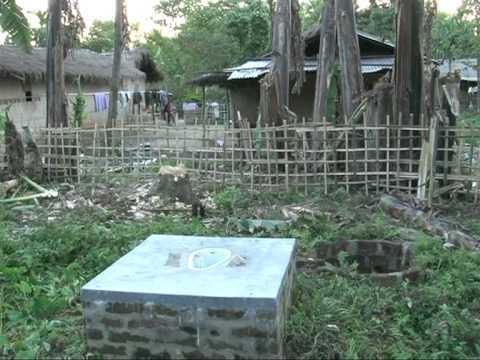 One Sevika Samity activist Hema came in his life. Every woman would like to be mother but Sateesh was determined not to have children as they have to adopt so many children of poor families! Satheesh used to call Hema as Sharda Ma. He was dedicated to the Ayurveda as he had graduated in it. Though he was suffering from blood cancer, he opted to be cured by Ayurveda only. On the last day of his illness of complicated disease, his friends forced him to be admitted in Allopathic Hospital against his wishes. He was just to climb the Ambulance; he decided to start his last journey to divine abode. 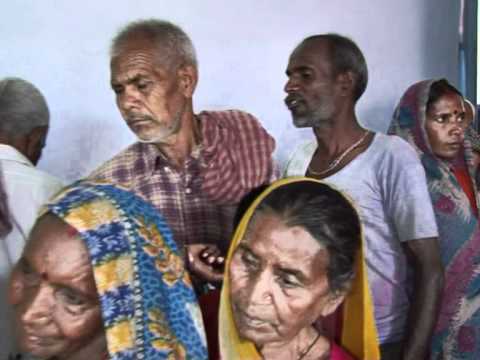 All the family members, friends, doctors and EKAL Pariwar advised him to take full rest, but he decided to complete an ambitious project as soon as possible. He could set an example before us as how one can dedicate himself to the cause. In an atmosphere infested by selfishness and hyper materialism like the one prevailing in present times, it is not common to come across someone who dedicates his life and that of family as well, in service to nation and humanity with no consideration in mind or in sight. Further, it is also equally uncommon to witness someone who preaches what he believes in and at the same time practices what he preaches. Dr Satheesh belonged to such rare species. 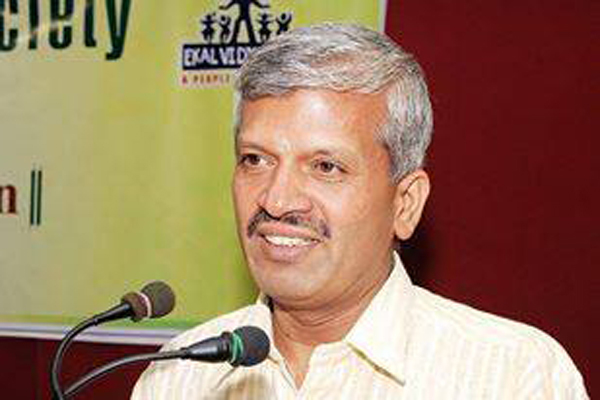 While Ekal has suffered a great loss in losing him at hands of destiny, Dr Satheesh will be a beacon of inspiration for volunteers of Ekal and other institutions alike, in consolidating faith and trust in Indian values and systems and also to dedicate themselves in service of Mother India and humanity. Dr. Satheesh's every cell was for Bharat and Ekal. 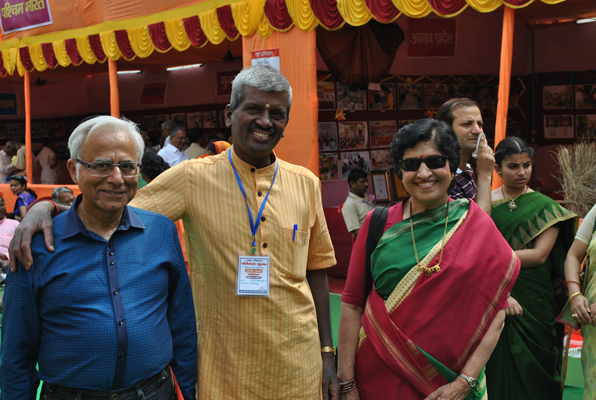 His multiple activities along with Ayurveda were known to all in Coimbatore. His confidence and will power made lot of things happen. God has his plans and He will bring this soul to better use. We pray God to give strength to Hema ji to bear this shock and continue Dr Satheesh's work. We are with her. We pray God to give ultimate peace to this Soul. OM Shanti, Shanti, Shanti! It is a great loss. I was fortunate to spend a whole day with him in April last year. I will cherish those moments for ever. Ever so cheerful and always positive. I feel blessed to have known Dr. Satheesh ji. We sincerely pray the almighty to give Hema ji the strength to bear this loss and continue his work. One of the jewels of almighty and architect of Arogya Yojana of Ekal, most loved equally by karyakartas & the committee members, associates & friends, Dr Satheesh has been snatched from us. He left us grieving for ever, after struggling with his fatal illness for last 3 years. At this sad moment we, the Ekal family are always with his wife Hema ji and it is our firm belief that she will accomplish the goals left unfulfilled by Dr Satheesh ji. May God lead the pious soul to the path of eternal peace. We are all deeply saddened to know about the demise of dear Dr. Satheesh Kumarji in Coimbatore. Our heartfelt condolences to all members of family and friends. 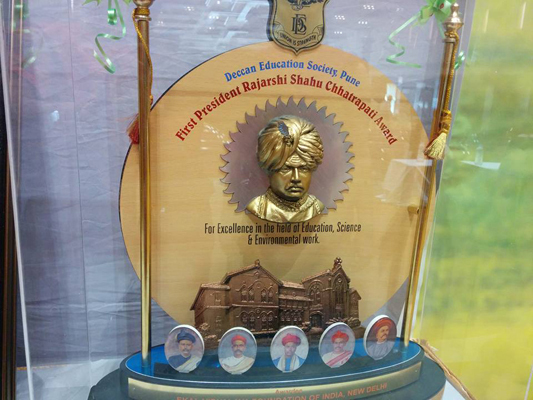 Deccan Education Society's First President Rajarshi Shahu Chhatrapati Award was conferred to Ekal Vidayalya for its commendable work with tribal & rural communities. 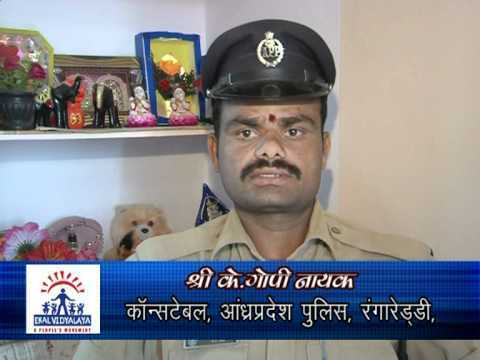 Sri CH. 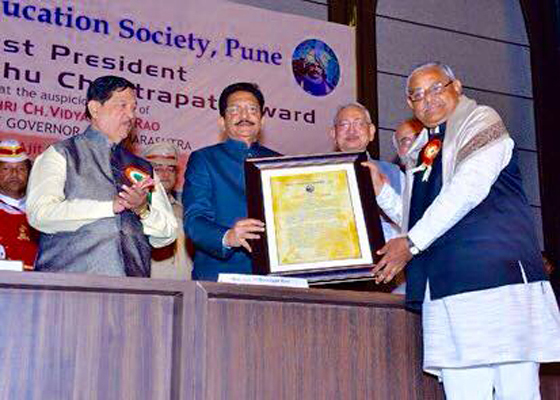 Vidyasagar Rao, Hon'ble Governor of Maharashtra presented the award to Sri Bajrang Bagra, President, CEC - Ekal Abhiyan on 22nd December, 2015. 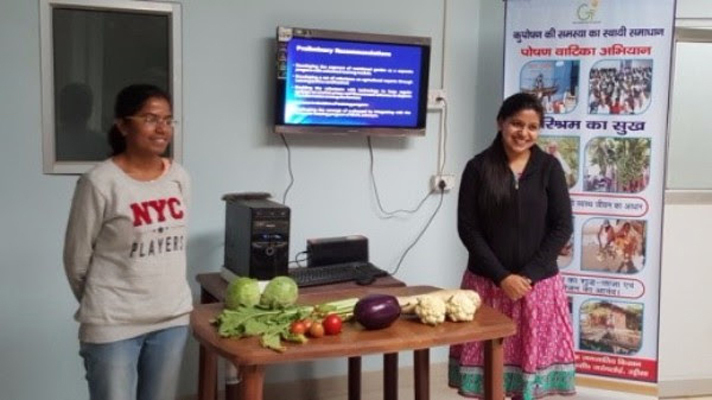 Impressed by the good system and work Gramothan Yojana, 2 interns – Ms. Puja Paramhansa from IRMA, Anand, Gujrat and Ms Rakhi, IIT Ahmedabad underwent training in GRC program. 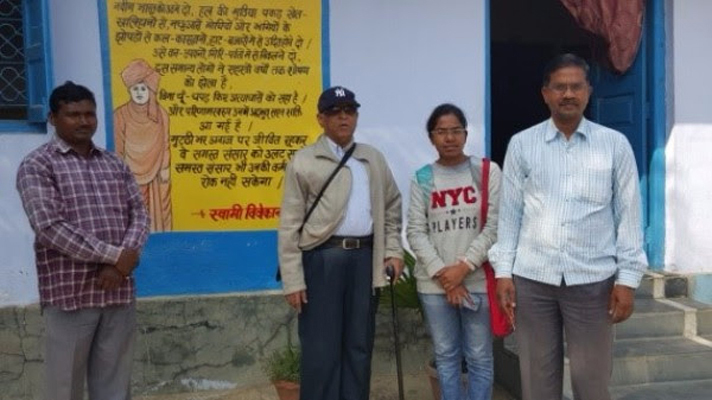 Ms. Puja Paramhansa visited and studied both GRCs of Jharkhand- Karanjo & Giridih from 6-13 Dec. 2015. She did a wonderful in-depth and analytical study of the GMY work there, in the centre as also in the village around. 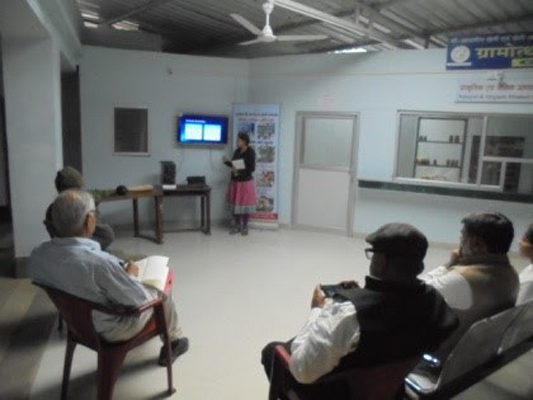 At the end, she prepared and presented a very informative and enlightening PPT of her study in Ranchi. The theme of her study was “Technological intervention in GMY”. Ms. Rakhi too visited GRC, Karanjo and Jarangloi between 12-18 Dec. under guidance and supervision of Dr Hasmukh Shah ji. Her topic of study was “A brief study of GRC, Karanjo”. 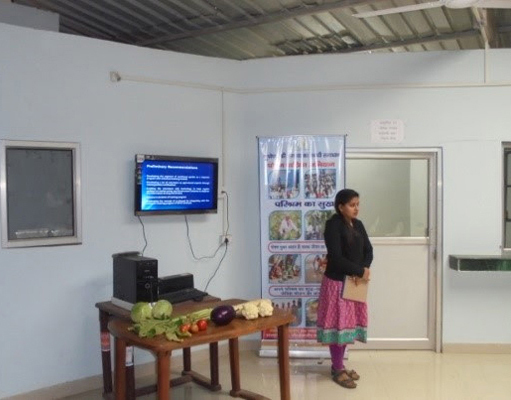 She too gave a PPT presentation of her study on 20-12-2015 at Ranchi.